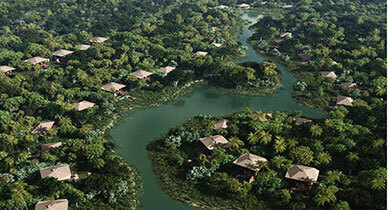 Description: Resort Master planning services for a 265-acre property in Phuket, Thailand. The project included the design and siting of a residential and hotel program amidst a site containing visual evidence of tin mining, rubber tree plantations, slurry ponds, canals, contaminated offsite run-off, and barren land. In addition, the site was heavily impacted by the recent tsunami. 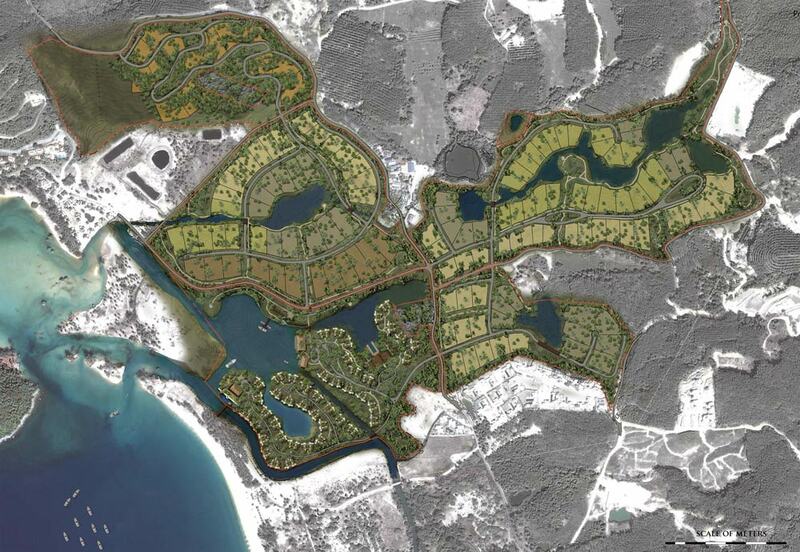 These residing factors required an ecologically based planning solution centered around the existing hydrology, re mediation of existing off site, natural and manmade influences, and creating amenities needed for a luxury resort. Combined this strategy will promote both environmental restoration and create a catalyst for an eco-tourism resurgence. Eric Lennox, Christopher Mott and Nathan Starck were lead designers on this project while at VCDG.